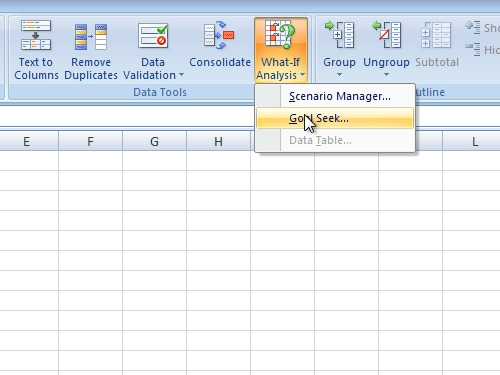 In this video tutorial we will show you how to use excel goal seek. In order to use excel goal seek, open an excel document. Edit your column with “average” function. After you add the data, go to the “Data” tab. Click on “What-If-Analysis” and select “Goal Seek”. In the appeared “Goal seek” window select a cell in “set cell”. Then select a “value” for a cell. Then select the “changing cell”. Wait until the calculations are complete. Now you know how to use goal seek function.